Car seat laws vary from state to state. If you have children and live in Georgia, make sure you know the laws and consider the state's recommendations, if you want to make sure your kids are as safe as possible while you're driving. All children under the age of 6 must ride in the back seat of a car. Children under the age of 8 are required to be in either a car seat or a booster seat. If there is not a back seat in the vehicle or if other restrained children are in the back seat, Georgia law allows a child under the age of 6 to sit in front in a car seat or booster. Children 8 years and older (not in a booster seat) must wear a seatbelt. Children taller than 4 feet 9 inches can wear a seat belt without a booster seat. Georgia’s Primary Safety Belt Law allows law enforcement officers to issue a citation if they observe a seat belt offense. They do not need to stop the driver for another traffic violation first. Failure to obey Georgia law can result in a fine and one point against your license per child. The second offense brings a greater fine and more license points. Car seat laws do not apply to children riding on school buses, in taxi cabs, or on public transportation. Georgia recommends these car seat guidelines for children. These recommendations are not laws. Children should be rear-facing until they are age 1 and 20 pounds. This is a minimum guideline. The longer they are rear-facing, the better. 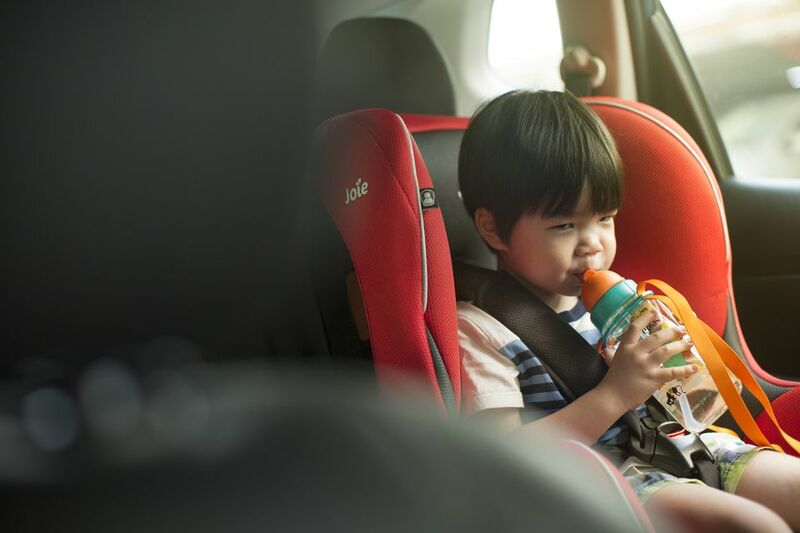 When children outgrow their forward-facing car seats, they must remain in a booster seat until they are age 8. However, experts recommend children stay in a booster until they are 8 and 4 feet 9 inches tall. After children outgrow the booster, they should use a seat belt wherever they sit in the car. Experts recommend that children remain in the back seat until they are age 12. Keeping your kids in a car seat doesn't matter if the car seat is not installed properly. You can stop by one of the 33 free car seat fitting stations in Atlanta, offered through the fire department. You will find a certified child safety technician who can make sure it's set up right. Can't Afford a Car Seat? If you cannot afford a car seat for your child, you may be eligible to receive a free one. Most counties in Georgia offer a grant to provide car seats to low-income families. What Are Wisconsin's Car Seat Safety Laws?